It’s that time again! With the new season around one week away, it’s time for Kirito’s Anime Season Preview! For those of you new to these posts, this is where I do a quick run through of the anime that I’ll be watching during the season and why they piqued my interest. There’s a lot of anime every season and it’s a tough deciding on what to watch, so hopefully, my list will help you narrow down that list. Click on the name to go to their first impressions! From Naoshi Komi, the creator of Nisekoi, is another love comedy featuring yet another group of enjoyable characters. 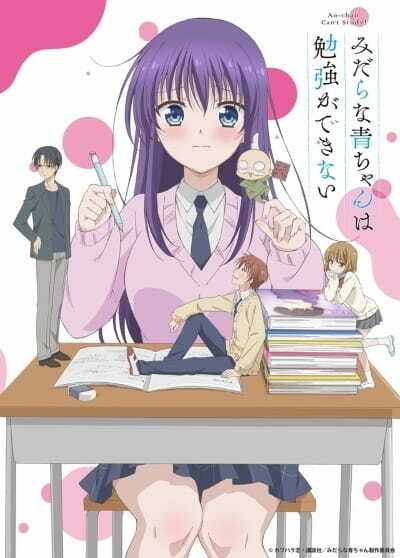 While it’s written by Naoshi Komi, Bokutachi wa Benkyou ga Dekinai will not be animated by SHAFT, but rather a joint project between Silver and Arvo Animation. Both studios are relatively new so there’s very little to go off of. I’m excited to see what newer animation studios will bring to the table because you never know, they could be the next KyoAni! Synopsis: Third season of Bungou Stray Dogs. Bungou Stray Dogs is back with another season! 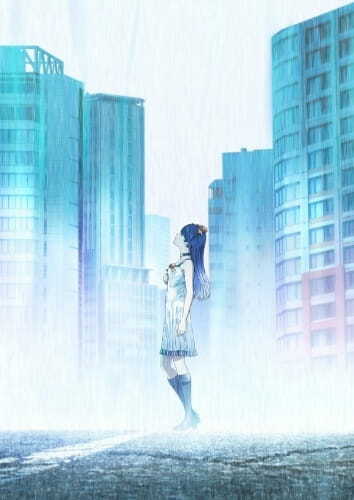 First two seasons were extraordinary and I’m hoping to get more Kyouka this season! 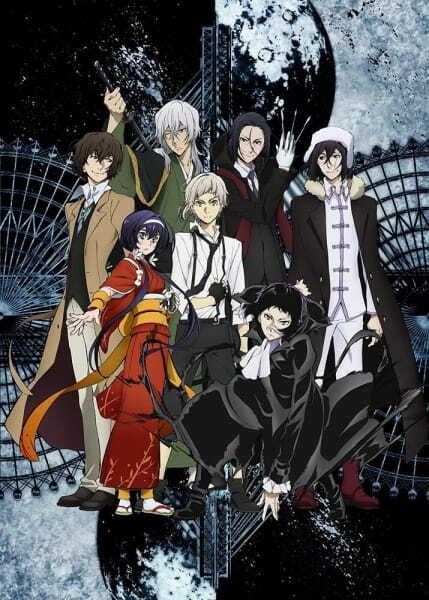 I will advise watching the movie Bungou Stray Dogs: Dead Apple before starting this third season as there is some character development in the movie that will most likely carry over into this upcoming season! Bones is quickly rising up the ranks as one of the best animation studios around. With a good range of successful shows such as Boku no Hero Academia, Bungou Stray Dogs, Soul Eater, Mob Psycho 100, and Ouran High School Host Club (just to name a few!). With a line up like that, it’s hard to imagine mediocre work, which is why I’m placing very high expectation in Carole & Tuesday. A brand new original work by Bones that is focusing heavily on music and emotions. As a basement producer, (basically, I write music on my own and for fun) I love seeing the creative process of different artists. 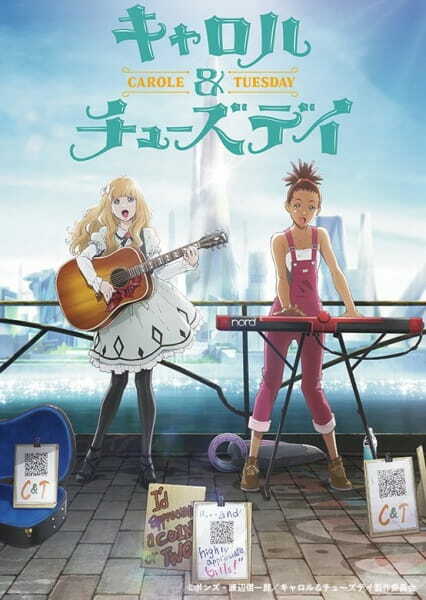 And it seems like Carole and Tuesday will write and perform some pieces throughout the show. The animation looks wonderful from the PV and I hope it continues to be from beginning to end! Good amount of original anime this season! P.A. 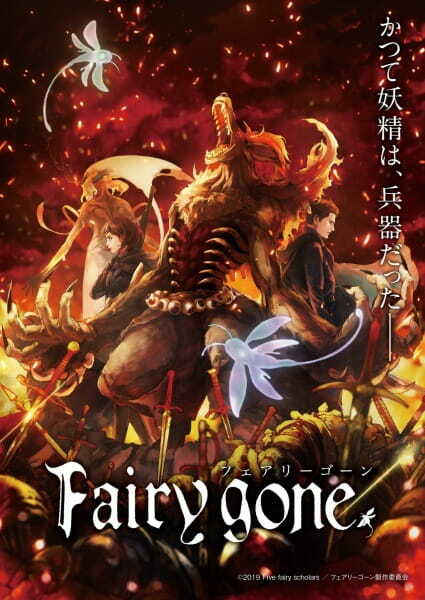 Works is also a powerhouse in the anime world, meaning Fairy Gone should be an interesting watch, at the least! The story looks really good on paper, it’ll be interesting to see how the characters and the story itself develops throughout the show. From the PV and some Key Visuals the monsters or “fairies” will be CGI, so we can expect action scenes to be fast, detailed, and intense. If not, then the CGI was a bad choice. This is for all my OG anime fans, Fruits Basket is a classic that aired back in 2001. 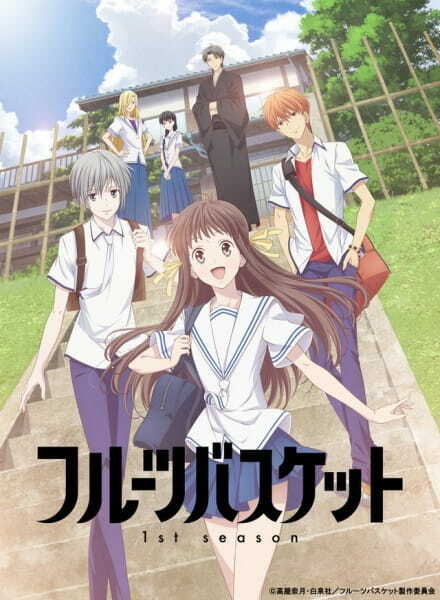 This Fruits Basket (2019) is a complete reboot which means old fans will be able to relive the entire story again with updated visuals! This is pretty exciting and to make things even better is the fact that the first two episodes will be airing in selected theaters across the United States. I already got my ticket for the subbed version on March 27th! And you know I’ll be posting the first impression as soon as I can! Ah yes, the beloved Isekai genre. 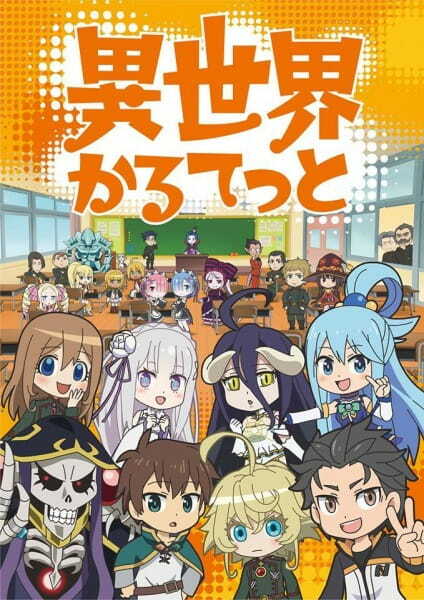 As the name implies there are four Isekai anime that are featured in this cute chibi anime crossover. As seen in the Key Visual, we can expect to see characters from Overlord, Re:Zero, Tanya the Evil, and Konosuba. As short episodes, it should be entertaining to see how these characters interact with each other! An anime without any voices? I’m all in for different types of anime and this one looks like it’ll be a fun watch! Also having short episodes, it shouldn’t take too much effort to go through it. I’m curious as to how the anime will present itself without the use of voices! Ok, from the Key Visuals and the PV it already looks like every other action comedy show. Though I do enjoy the anime that Silver Link produces so I’m giving this one a shot. 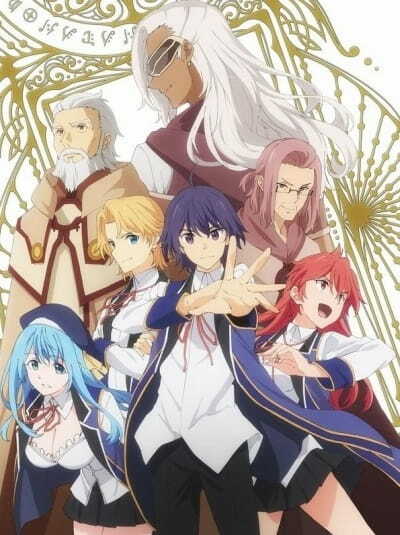 An overpowering character can either be very boring or very exciting depending on how well the story develops and from a first glance Kenja no Mago seems like the boring one but I could be wrong! Ah, another short anime! 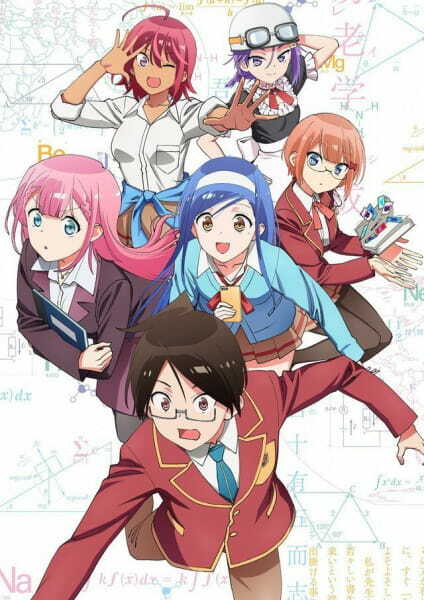 I really like the character designs and the setting of the show gives it a fun lighthearted vibe. The synopsis alone is enough to have me chuckle so I’m hoping the anime can do more! Another Silver Link Anime, so also looking forward to seeing how they adapt the manga. Synopsis: The second season of One Punch Man. ONE PUNCH!!!!!! 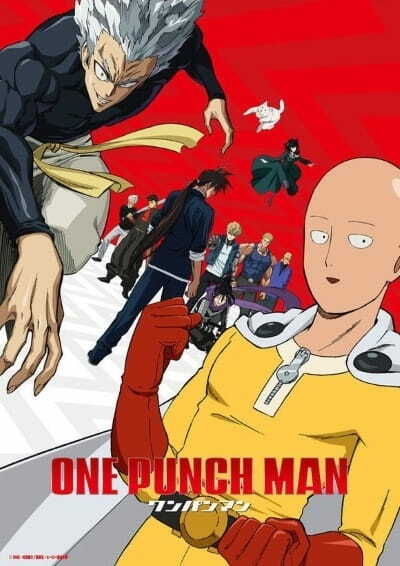 Who could forget the first season of One Punch Man, the intense and articulate animation from that show has been engraved in our minds for the rest of our lives. But that comes as a double-edged sword because what if the studio that was animating it switched? 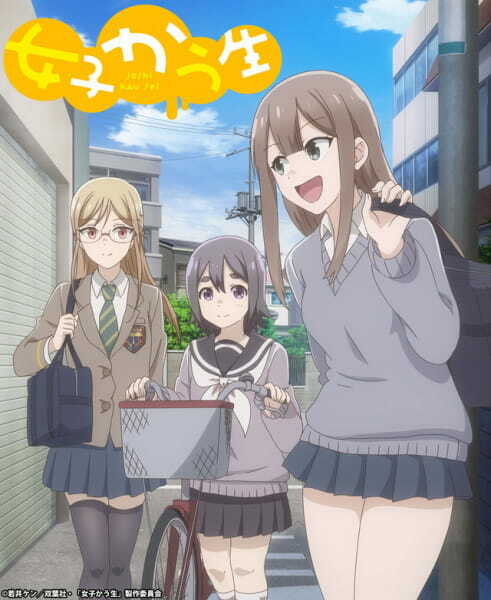 Instead of Madhouse (the studio that animated the first season), J.C. Staff will be handling this new season. J.C. Staff, in my opinion, has been dropping in quality the past few years releasing sloppy and mediocre anime. Perhaps they were saving up for One Punch Man and this could be their comeback? This could go either way, it could turn out really good or really bad but either way I’m excited to see more Saitama! 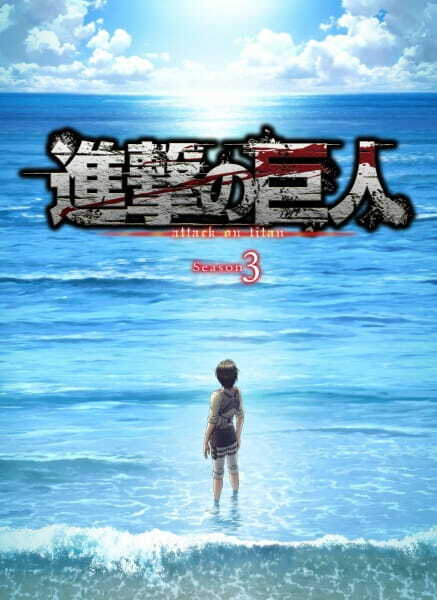 Synopsis: The second part of the third season of Shingeki no Kyojin. Wit Studio is back with another season of Shingeki no Kyojin, or Attack on Titan as it’s known by here in the United States. As the Key Visual shows, we’ll likely be reaching even further away from the walls. As I’ve avoided reading the manga (in hopes of avoiding spoilers), I have no idea how they will get there so it’s exciting to see what will happen next! I’m not a fan of game adaptation simply because they just don’t translate well from game to anime. There are some exceptions such as Tales of Zestiria, but that was because it was animated by the ufotable who also worked on the animated scenes in the game. I haven’t done my research on Shoumetsu Toshi, so I’m not sure where it stands but the synopsis and key visuals were so interesting I can’t help myself from being curious! And let’s be honest, anything Madhouse is worth, AT LEAST, the 3 episode rule. Did I miss any good anime? What do you think I should watch this season?